I went to the Georgia Archives for the first time yesterday, and while I found lots of good information, one item stands out above the rest, and made the whole trip worthwhile. Here’s the backstory. Harvey D. Ward, my 3rd great-grandfather, fell off the face of the earth after 1870. He was a young man, aged 30, when he appeared on the 1870 census, with a wife and three children, ages eight to two. In 1880, his wife, Mary, was head of household, with the same three children living there. Mary was reported as “married,” not as “widowed,” so where was Harvey? I had heard a rumor that Harvey had gone crazy after the Civil War. I had not pursued this rumor, both from lack of time and lack of knowledge in how to go about it. I was getting tired by this point and decided take one last look at the index for surnames of interest. I spotted an entry for Harvey D. Ward and a couple of entries for H. D. Ward! I flipped to the entry for Harvey D. Ward first, which turned out to be a list of guardianship records from 1835 to 1939. The year 1876 was included with Harvey’s name – so this record was created six years after his last sighting. I assumed this record was going to be about establishing a guardian for Harvey’s children and that it would provide evidence pertaining to his death. Then I read the introductory paragraph and realized that it was a list of wards (lower case ward, meaning the person for whom a guardian was being appointed). This meant that a guardian had been appointed for Harvey! Could this be evidence of the rumor about him? The bond was posted by Harvey’s father Frederick A. Ward and brother Hampton P. Ward, and was dated 22 May 1876. Frederick was appointed as Harvey’s guardian. So, now I know a little more about what happened to Harvey. 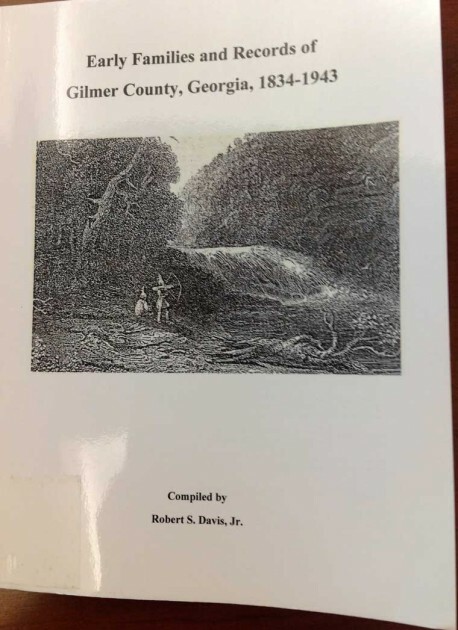 The “Admission Register of Central State Hospital, Milledgeville, Georgia, 1842-1861” was published (as a book) by the Georgia Genealogical Society in 2011. I just wish I could find an ancestor in similar circumstances (with a similar story) in North Carolina. Which is evidence of Dr. Tom Jones’ suggestion to avoid “over planning.” If you had been completely focused on a strict research plan you might not have taken time to check the index and missed your “big find.” It’s so nice when a side trip is successful. Good luck on the next phase with researching Harvey. Great find Tonia. Your diligent work paid off! Congratulations! Love to hear stories like this. Your story tells us that not everything can be learned on line! We have to get out to libraries & archives & museums; visit the places our ancestors lived & learn more.